This Special Offer Pack provides everything you need to deliver a 2 year scheme of work for science at Key Stage 3. 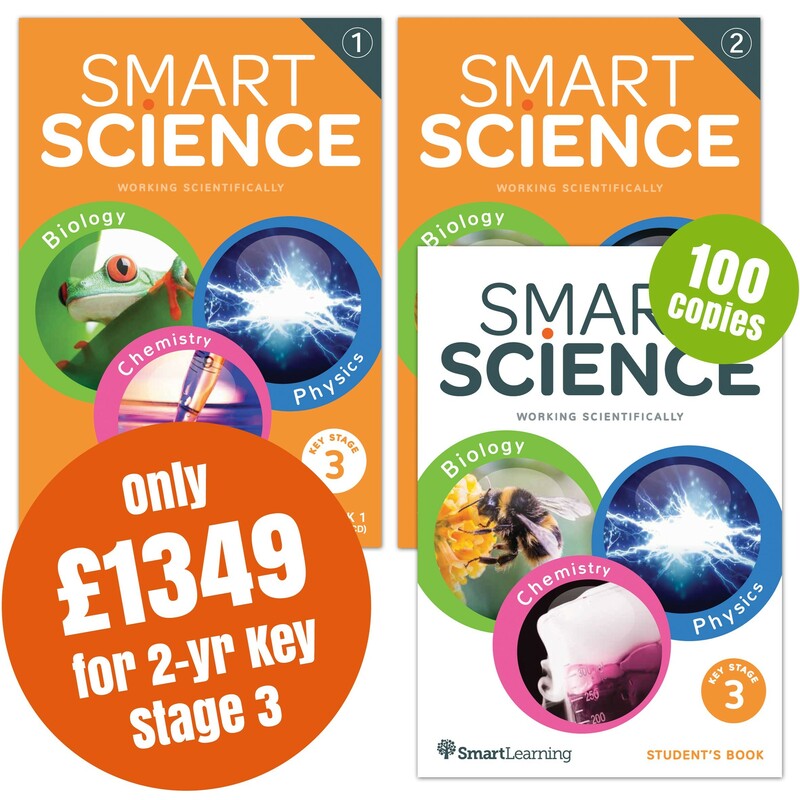 The Pack includes 100 copies of the Smart Science Student's Book, a 368-page student resource, covering all of Key Stage 3. Teacher's Handbook 1 and Teacher's Handbook 2 are also included in the Pack, providing support for all teachers to deliver engaging, effective science lessons. 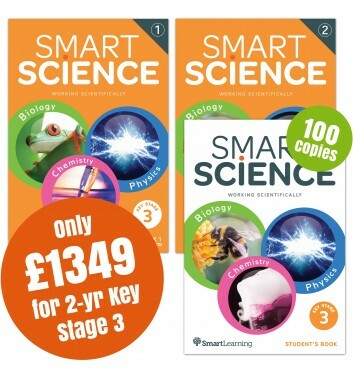 This Pack provides a comprehensive, high quality solution to delivering the new 2014 Science Curriculum in your school. If you're looking for a flexible, creative approach to Key Stage 3 Science lessons – Smart Smart is the perfect solution!